HIGH NUTRITIONAL VALUE:- A glass of lemon jucie has less than 25 calories. It has rich source of calcium, potassium, vitamin C, pectin fibers, some traces of iron and vitamin A. HELPS IN DIGESTION:- when taken in empty stomach it stimulates the gastrointestinal tract which helps in proper digestion, and in elimination process. It also prevents heartburn. MAINTAINS pH LEVEL:- Naturally our body has acidity. Taking lemon juice reduces the harmful effects of it. Lemon has citric acid, but the other mineral and nutrient content of the fruit is alkaline. The citric acid is very mild and it is easily excreted from the body. Lemon stimulates the making of calcium carbonate that in turn neutralizes other strong acids found in the body. This helps when we take protein rich foods like meat and cheese. It maintains the pH of the body and they by prevents urinary tract infections. DETOXIFIES LIVER:- The citric acid present in lemon helps the enzymes our body to function better. It stimulates the liver and helps in detoxification. GIVES CLEAR SKIN:- The Vitamin C present in lemon helps in the production of Collagen which helps to give us youthful skin. The antioxidants rejuvenate dull skin and keep them healthy. It also removes the toxins from the blood stream. When the juice is applied on blemishes it helps to reduce it. IMPROVES IMMUNE SYSTEM:- The vitamin C present in the fruit is known to fight colds and is good for your immune system. They also have potassium which helps proper functioning of the brain and nervous system. It also controls blood pressure. PREVENT BAD BREATH:- Bacteria are kept away when lemon juice is drunk there by giving a natural freshness to our mouth. AIDS IN WEIGHT LOSS:- When taken early in the morning it fights food craving. 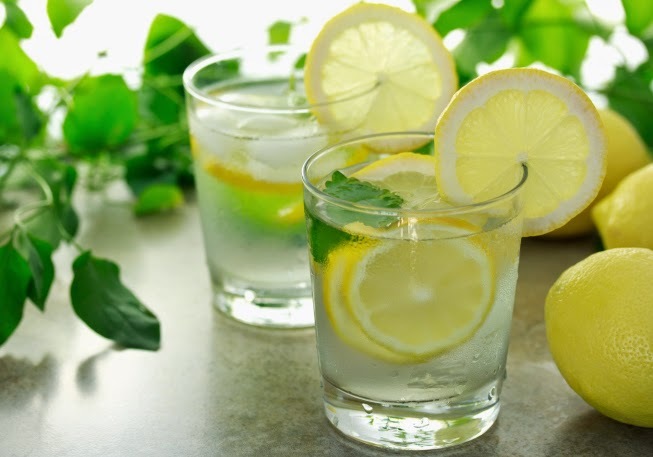 Since it has been proved that those who take an alkali diet lose more weight, it is time to change our diet and take in warm lemon juice in the mornings. - Adding a little honey to the juice makes it more tastier, fights phlegm and gets rid of body mucous. - Never use canned or bottled juice. Natural home-made ones are always best for good results. - Always rinse your mouth after having lemon juice because it might affect your teeth since it has some corrosive properties. - Donot over take lemon juice. It shows corrosive effect when taken more than needed. It all started when Bjorn Borg grew a beard and wore the same Fila shirt before every Wimbledon to Maria Sharapova refusing to step on the lines of the court, tennis players have always been very superstitious. Here are some of the players with their superstition. 1. ROGER FEDERER: The 17 time Grand Slam winner was born on August 8, and considerers it to be his lucky number and he carries 8 racquets to every match he plays. He also carries eight water bottles and hits eight aces before starts to play the match. He also seems to ask for eight towel rubs before every set. 2. NOVAK DJOKOVIC: He carries his pet Pierre, the poodle to every match that he plays considering it to be his good luck charm. He also refuses to use the same shower twice as he thinks it to bring him bad luck. 4. SERENA WILLIAMS: Serena’s secret in winning the Grand Slam titles depends on her socks. It is true. If she wins a match, she wears the same unwashed pair of socks for the next match as well. As long as her victory in the tournament goes she is very much to wear the same pair of unwashed socks till the end. He is said to bring her shower sandals to court and ties her shoe laces in a specific way. 5. ANDRE AGASSI: The strangest of all superstitions belongs to Agassi. In 1999 Roland Garros he forgot to pack his underwear and decided to play the first round commando. When he ended up winning the match he decided to play the tournament commando. Strangely he went on to win the French Open that same year. 6. RICHARD GASQUET: Gasquet follows an odd practice. If he wins a point he insists on continuing the game with the same ball even if it on the other side of the court. 7. GORAN IVANISEVIC: This player had a habit of watching Teletubbies every morning and had the same dinner at the same table of a restaurant in SW! He entered the Wimbledon tournament in 2001 as wildcard. But following this superstition he went on to win the title. 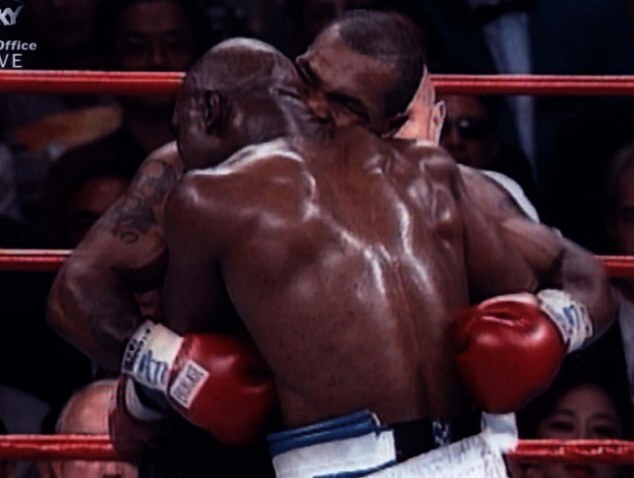 MIKE TYSON:- It was in a match between Tyson and Evander Holyfield in 1997. During the match Tyson bit the latter on his right. ear, tearing off a small piece and spitting it out on the ring. Even after he was warned, he did it again and was disqualified. TREE ROLLINS: in a basketball game in 1983, American star Tree Rollins got into a brawl with Danny Ainge over a tackle and bit his hand. Ainge had to get two stitches on his hand. CLAUDE LEMIEUX: He was accused of biting his opponent Jim Peplinski’s finger during a match in 1986. ALEX BURROWS: In 2011 Stanley Cup finals, ice-hockey star Alex Burrows apparently bit Patrice Bergeron on his finger. RAFAEL NADAL: Rafa has a unique way of celebrating his victories. 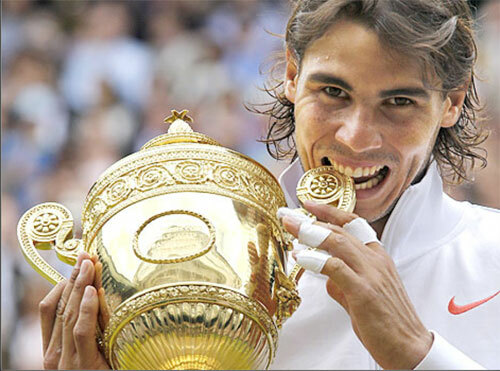 The Spaniard bites into the trophy every time he wins a championship. ROBERT PATTISON: Reel vampire took the biting phenomenon beyond the big scree. During a promotional appearance on The Tyra Banks Show in 2010, the Twilight star created quite a buzz when he pretended to bite Tyra’s neck. 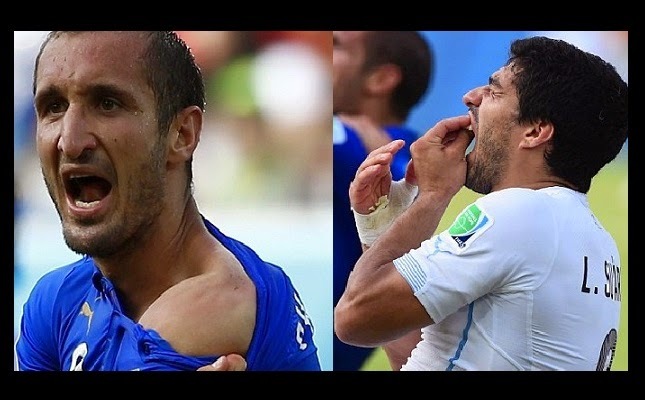 BITE IN SERIALS: Popular shows based on vampires and draculas offer some interesting bite moments. From Supernatural to The Vampire Diaries, some of the best on-screen bites are those that the protagonists give to their partners to protect them from the antagonists.